As marketers, we focus almost exclusively on the science of personalization—gathering the data, setting up segments and triggers, figuring out the mechanics of automating emails, creating and testing the email content and coordinating with other channels to create an omni-channel approach. We aren’t as well versed in the art of personalization—the ideas and practices that guide our hands as we set up our personalization plans. However, art and science work hand-in-hand to deliver the kinds of results that will lead you to your goal for your personalization efforts: “helpful marketing” that enhances your customer’s experience along the entire journey, using all the marketing channels available to you. That’s right, think about it. The reason why you’re reading this article is that you want to enhance your customer’s experience. This is your objective. Personalization itself is mainly a collection of tactics. That’s the science aspect. The art comes in how you use those tactics. In other words, it’s the strategy guiding your use of those tactics. We’ve seen what happens when you neglect the art of personalization and just focus on the science. You’ve probably heard the apocryphal story about a Minneapolis man who learned his teenage daughter was pregnant because Target sent her coupons for baby-related products, all based on her purchase history. Target lived up to its name with this offer, and that’s where it went off the rails. Instead of mixing its relevant content with unrelated offers, it sent a highly targeted offer via direct mail. Although some have cast doubt on the specific circumstances of this story, the science of Target’s deep-data personalization strategy is well known among data scientists. Target got the science right, but not the art—the battle plan that guides your use of those tactics in helping you achieve your goals. I’ll explain why in the next section. In this discussion of personalization as both an art and a science, I talk about art first because the art guides the science. Figuring out tactics is easier, but neglecting strategy for tactics will lead to disaster. Your strategy will help you decide whether to use more obvious personalization (overt) or less obvious (covert). This is how the art guides the science. You’ll probably end up using both within your entire digital program—each one will be appropriate at different times and in different channels. A true omni-channel marketing approach gives you that flexibility. Covert personalization is subtle. 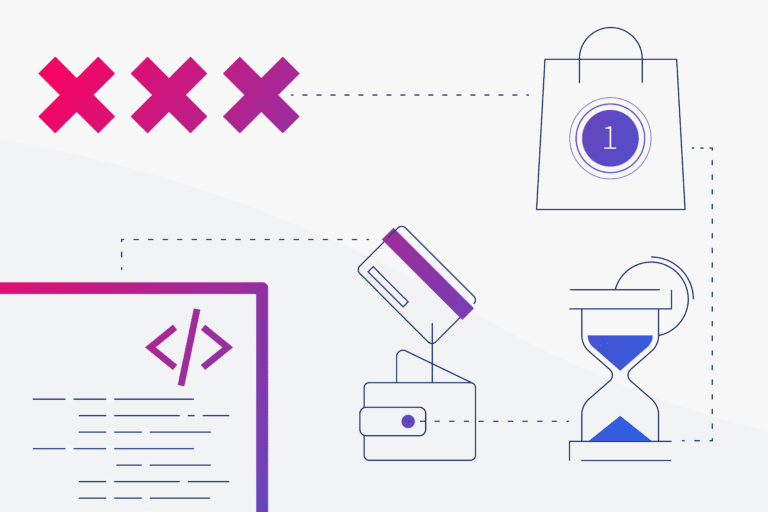 Use this approach when your customers might see an overt use of data as creepy, especially if you’re using third-party data that they might not expect you to have, such as their behavior on other brands’ websites. The beauty of this approach is that you can’t get it wrong. When covert beats overt: In Target’s case, the company used overt tactics when covert personalization would have avoided disaster. Had Target mixed its pregnancy offers in with less personalized content, it would not have outed the teen’s condition. Serendipity is often more effective than in-your-face content. When to use both: Browse-abandon emails can use either overt or covert personalization or both. Show the customer the item she browsed and link back to the product page. Or, turn the email into a newsletter and mix general content with browsed products. The examples below show you what each tactic looks like in email. 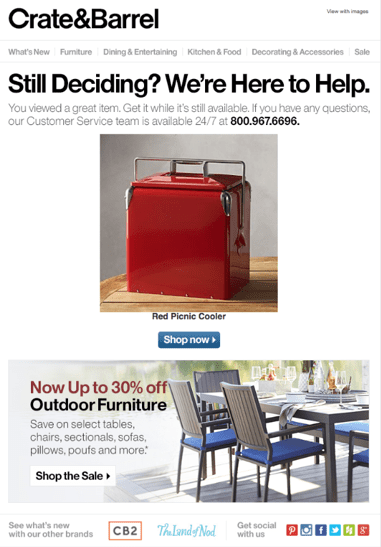 Crate & Barrel uses overt personalization with this cart abandonment email reminder. Only the product image is personalized, but this email clearly intends to nudge the shopper to buy: the hero image shows the browsed product, and the “Shop Now” button links back to its sales page on the website. The service focus (“We’re here to help” overshadows “Shop Now”) makes this email feel more like a helpful reminder than a sales push. 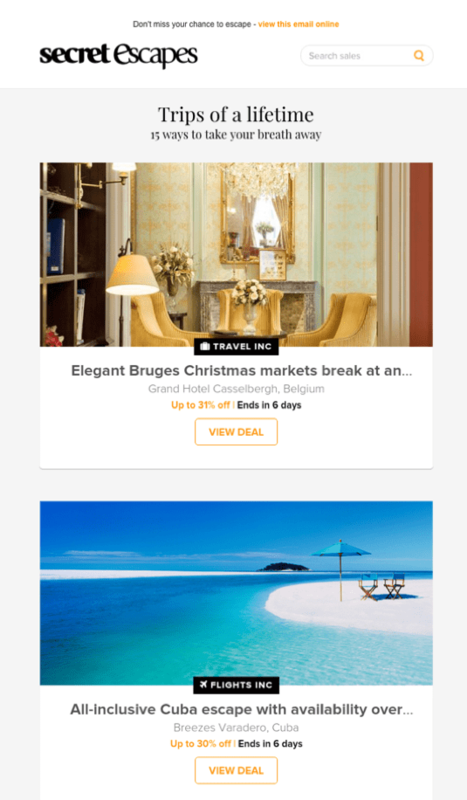 Secret Escapes keeps it subtle with this email newsletter. Iterable predicts that marketers who rely on “one size fits all” marketing will get left behind by those who adopt hyper-personalized messaging, such as Spotify’s year-end playlist wrap-ups. Spotify takes personalization to the next level with their year-end playlists. 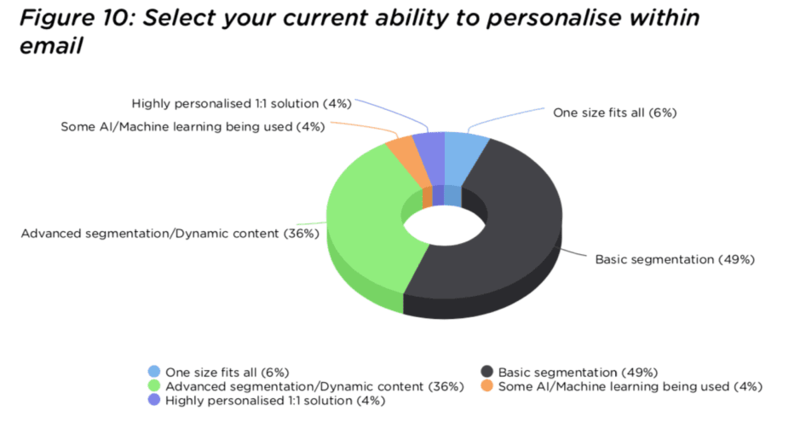 Almost everyone personalizes something: Almost half of marketers use basic segmentation, while the next-largest group of marketers uses advanced forms. 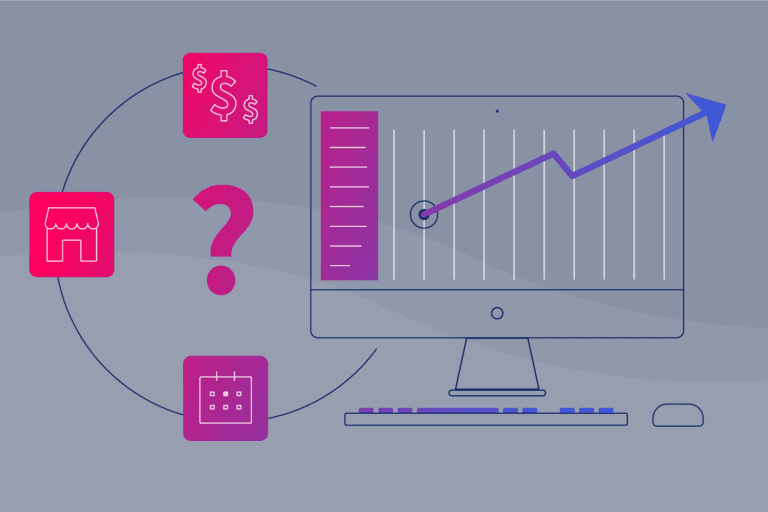 Metrics matter: All marketers who measured personalization using results-oriented metrics, such as customer lifetime value along with campaign metrics like clicks and conversions saw a lift, while 89% of those who used only campaign metrics saw a lift. Develop the strategy. Introduce personalization by deciding which personalized communications will achieve your objective. Choose the tactics that carry out your strategy. As I noted before, you must always lead with strategy, which will support your objective. Keep this in mind: It is not a campaign tactic or even a channel-specific tactic. It’s a customer tactic. As such, you must implement and measure it through the customer journey and lifecycle. This means focusing on the complete customer journey across all of your marketing channels, not just on one channel. 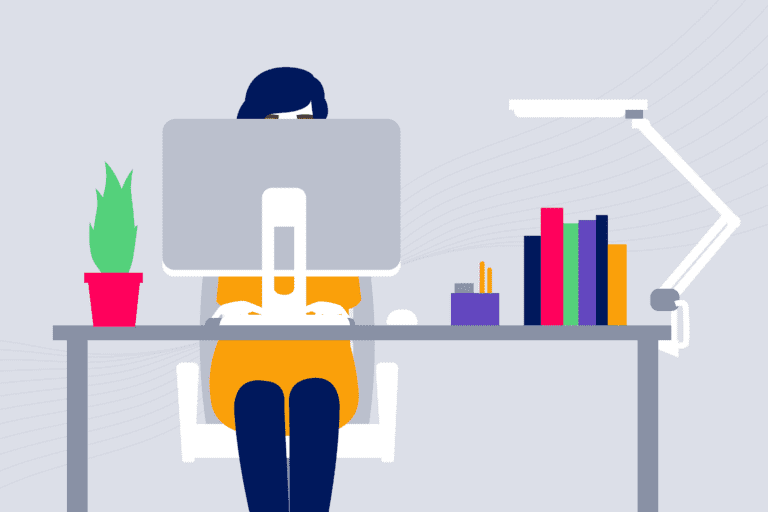 Although I am discussing personalization in email in this post, your best results come when you coordinate and personalize across all channels. Kath lives and breathes email marketing and is recognized as one of the UK’s leading email marketers. As CEO of Holistic Email Marketing, she devotes her time to developlng customer-centric e-commerce journeys using a holistic, multi-channel approach. 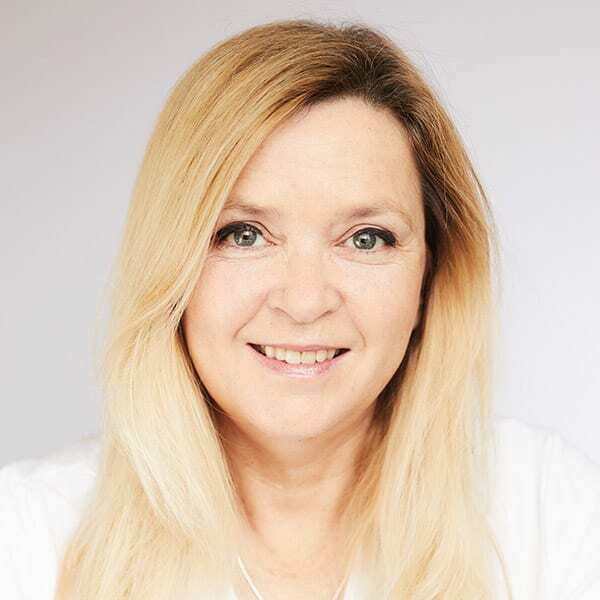 A thought leader and industry veteran of over 18 years, Kath is a regular author, expert contributor, international conference speaker, and trainer.